Kimberlee Davis received a B.S. in Family and Consumer Sciences from Southwest Texas State University in 1985, M.Ed. in Counseling Education from Texas Tech University in 1995, and Ph.D. in Family and Consumer Sciences Education with an emphasis in Personal Financial Planning from Texas Tech University in 2005. Since that time, Davis has been responsible for the following courses: Research Procedures in Family & Consumer Sciences, Consumers in the Marketplace, Resource Management, Consumer Law, Personal Finance, Financial Counseling and Supervision for Family, and Consumer Sciences student teacher supervision. Davis’ overall research goals are to provide Family and Consumer Sciences (FCS) teacher educators with research-based information and tools that will enable them to better prepare family and consumer sciences teachers for 6-12th grade Career and Technology classrooms in the 21st century. In addition to exploring the broad field of FCS education, she strives to promote personal financial success by identifying effective pedagogy for personal financial education, understanding effective personal financial behaviors and providing information necessary for educational policy change as it relates to personal financial education. Thus, her overall research program has been descriptive and has been driven largely by the need to assess current trends in FCS education and establish a research agenda for the field. In 2007, Davis established and continues to direct a campus-wide financial literacy initiative, which is posted at http://www.fcs.texstate.edu/financialliteracy. Dr. Davis is certified as a “National Certified Counselor” by the National Board of Certified Counselors, “Accredited Financial Counselor” by the Association of Financial Counseling and Planning Education, and as a Certified Personal & Family Finance Education by the American Association for Family & Consumer Sciences. Prior to coming to Texas State, Dr. Davis taught at Texas Tech University. “Personality Traits and Financial Satisfaction: Investigation of a Hierarchical Approach.” With Rodney C. Runyan. Journal of Financial Counseling and Planning. 27.1 (2016): 47-60. “Perceptions of FCCLA as Reported by Advising and Non-Advising Family and Consumer Sciences Teachers.” With Karen L. Alexander and Sharon R. Pierce. Journal of Family and Consumer Sciences Education. 32.1 (2013): 8-23. 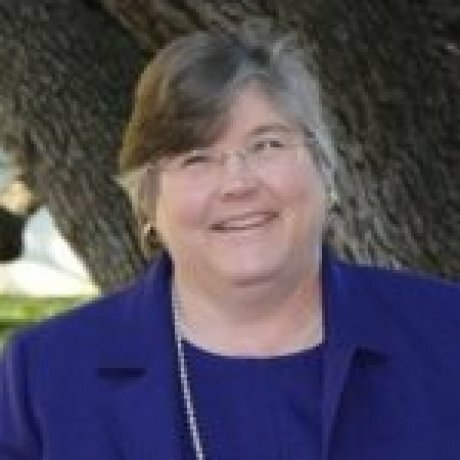 “Secondary Family and Consumer Sciences Programs in the State of Texas: A Descriptive Study of the Teachers and Courses.” With Karen L. Alexander. Journal of Family & Consumer Sciences. 31.1 (2013): 1-13. “It’s a Matter of Control: Saving for Retirement.” With Gwendolyn Hustvedt. International Review of Social Sciences and Humanities. 3.2 (2012): 248-261. “A Peer-Based Financial Planning & Education Service Program: An Innovative Pedagogic Approach.” With Joseph W. Goetz, Dorothy B. Durband, and Ryan E. Halley. Journal of College Teaching and Learning. (Apr 2011): 7-14. “Trends that FCS Education Should Address: A Delphi Study Reveals Top 16.” Journal of Family and Consumer Sciences. 103.4 (2011): 30-37. “Teacher Education Priorities of Family and Consumer Sciences Teacher Education Programs: A Modified Delphi Study.” Journal of Family & Consumer Sciences Education. 28.2 (2010): 1-13. “A Focused Research Agenda for Family and Consumer Sciences Education: Results of a Policy Delphi Study.” With Karen L. Alexander. Journal of Family & Consumer Sciences Education. 27.2 (2009): 30-44. “Valuing the Implementation of Financial Literacy Education.” With Dorothy Bagwell Durband. Journal of Financial Counseling and Planning. 19.1 (2008).